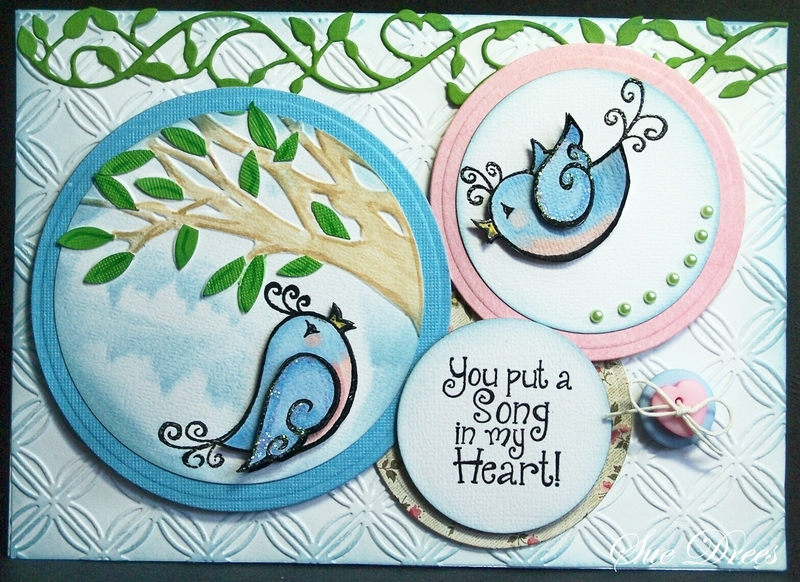 Today's card uses circles as the focal point. to create a little scene. Adirondack Stonewashed dye ink used to create clouds and distress edges. Round blue button and pink heart shaped button tied with white twine bow. o what a wonderful and beautiful card Sue. Adorable card, Sue. The circles do make a very interesting way of showcasing this adorable scene. Your clouds are so real looking. I love them. I really have to practice that more often. Wonderful card love the images and those fabulous clouds! You are so good at creating them!